If January is any indication for how 2019 will be, I'm in for a wild ride this year! I started out the month by going to the emergency room (everything is fine- I thought my appendix was bursting and it turns out there was some kind of GI issue going around Pittsburgh). Then, we had a girl I met during our trip to Hawaii and who is from Paris stay with us for a week which was a ton of fun. To end the month we a bang, we decided to trade in our used Subaru for a new one! If you read my weekly workout posts above you'll see that this one is also underway! My official training hasn't started yet, but I'm well on my way. My plan starts in mid-February, so I'll be sharing more this month. I did pretty well with this. I didn't do every day, but I'll keep going until I finish all of the videos from the challenge. It was really fun and definitely different than past years'. It seemed like the videos were a lot shorter and there was more sitting around in the postures at the beginning and end which I wasn't a huge fan of, but I still enjoyed it. I finished my two books, and even managed to hit my goal of one regular book, and one off of the Times Best Novels list! My fun read was A Simple Favor, which had a really great plot and format, but seemed to drag on for a while. I watched the movie as well which was really different from the book but also good! 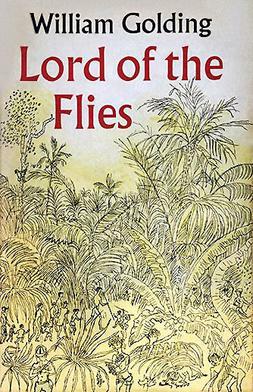 From the Times list I finished Lord of the Flies, which was a very difficult book for me to read, but I got through it! Right now, I'm reading The Perfect Nanny, which is extremely dark and twisted but engrossing at the same time. I made great progress on my scrapbook! I organized my layout, and also got all of my pictures printed out from my trip. So far I finished my pages for Tokyo and Kyoto, so I should have everything completed by the end of February. Now let's move on to some of my goals for February! I'm sticking to some more fun goals, since it's a short month and might be hard with the weather and training starting. I want this year to be full of new adventures and stepping outside of my comfort zone, so I'm going to dive right into that in February by taking a class at a community college and joining an outdoors club. Can't wait to share how they go! I'm not a huge movie person, but I always thought it would be fun to watch all of the Oscar nominees. Most years have movies that I'm not super interested in, but this year has a few that I've been wanting to see and a few others that I haven't even heard of but sound interesting. So, February will be about staying warm and watching more movies! NO buying breakfast, lunch, dinner, coffee, or snacks out. NO Trader Joe's or Whole Foods.